Nutrient dynamics is a key element of the marine ecosystem. The nutrient concentrations are important for marine productivity; therefore, any disturbance in this cycle will adversely affect marine productivity. In addition, there are some signs indicating disturbance Kuwait’s ecosystem. Most of the nutrients including nitrogen (N) and phosphorus (P) are available either in dissolved phase and/or in solute phase with the bottom sediments. Hence, there is a kind of complication in this cycle that needs to be understood. There is limited information about N and P availability in Kuwait’s marine environment. 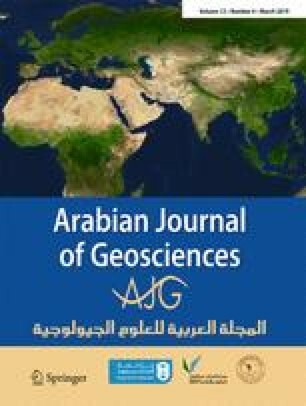 The effects of adsorption and desorption processes and the nutrient water-sediments interaction were studied in order to understand the nutrient dynamics in Kuwait’s Bay. The results of this study showed good agreement with the previous studies, where increased eutrophication in Kuwait’s bay occurred by either external nutrient loads, such as land from gulf water, or by internal loading from bed and suspended sediment in Kuwait’s Bay. This study found that the sources of nutrients in sediment were high and annual flux of P, N, and C was 905, 4306, and 916,916.5 ton/year respectively. Also, from the results, it appears that the sediment of Kuwait’s Bay is a sink for nutrients, dependent on the concentration difference between water and sediment.